In Stock Now! – Black, SS, Blue & Rainbow. Matthew from Omaha, Blake from Greenwood & 39 others bought this item recently. The Sense Blazer Mini Tank is the newest Sub Ohm Tank by Sense. 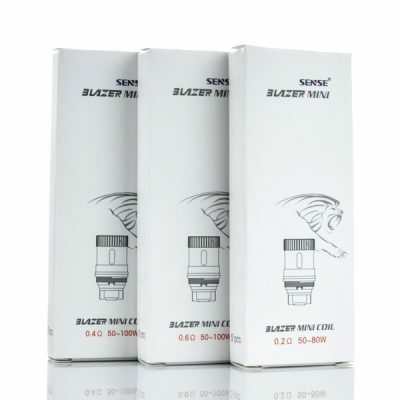 It’s a smaller version of the original Blazer 200 Tank, but just as powerful, and maybe even has better flavor. We are waiting for our shipment of inventory, as well as our samples. Once we have a chance to try it out we will update this section. Note: The Blazer Mini still has the awesome and one of a kind top fill system. We are really looking forward to getting these in. 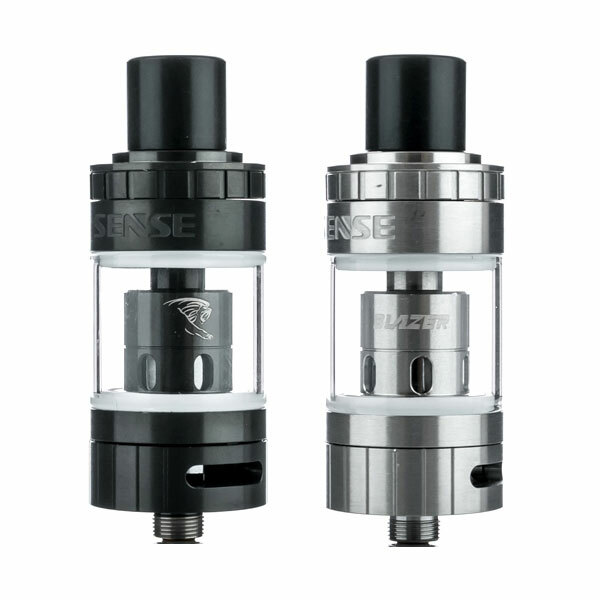 The Blazer 200 is a excellent tank and one of our best sellers, and if it’s anything like that, this Mini Tank will be a hit as well. 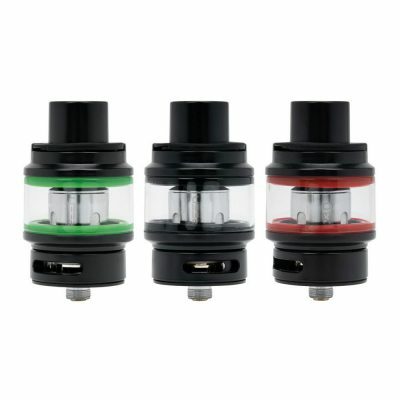 I have over a dozen different types/brands of sub-ohm tanks, and this is pretty much my favorite! Flavor is superb, and zero burnt hits or gurgling. 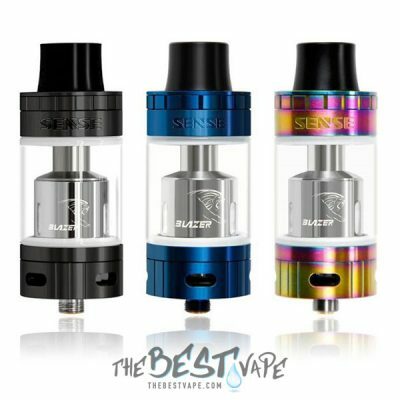 Plus, I haven’t had any leaking, even when the mod/tank turns over on its side. The rainbow is really pretty, and the rainbow finish is even on the inside components. I love the top-fill, flip-top too! And this price is just about the cheapest you’ll find it! So far the .4Ω coil is still running strong after about 2-3 weeks. That should say a lot. 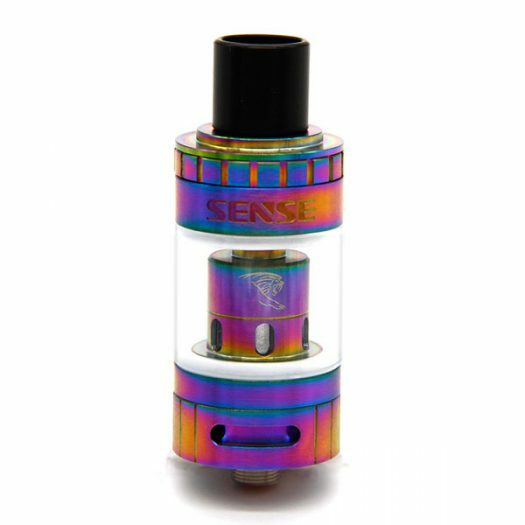 This Tank is solid & high quality. 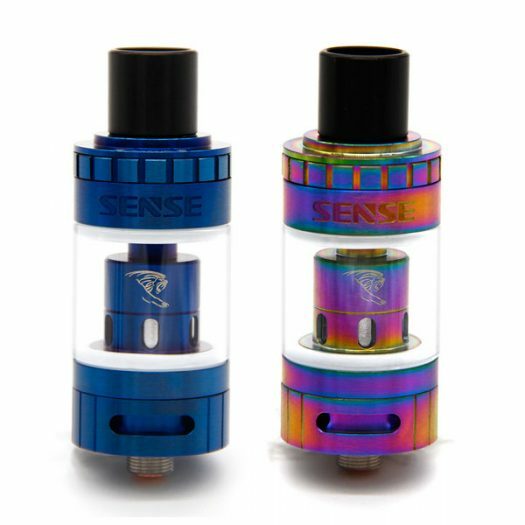 The top fill is the best we have seen, & convenient..
We will do a more in depth review of the Sense Blazer Mini Tank in the near future. 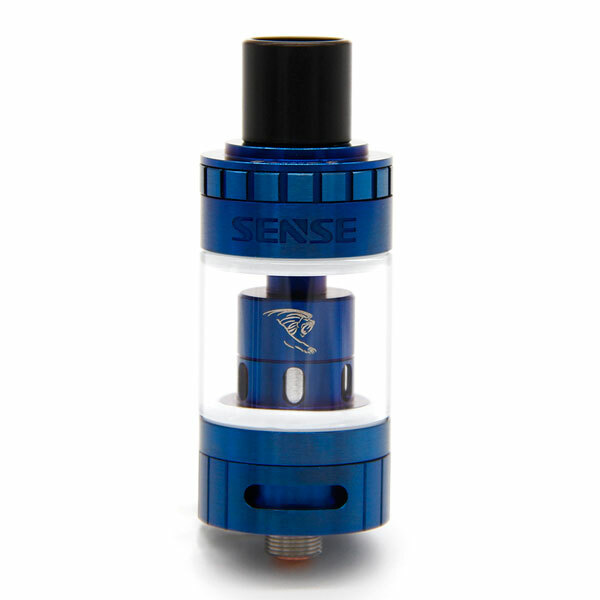 We wanted to get this up as soon as possible so you would have an idea of how good this Tank is.